Predictronics has had yet another rewarding IMTS show experience—thank you to all that visited our booth. The event overall was a huge success. This year’s show was the biggest yet, setting records of almost 130,000 visitors and over 2,000 booths. The last time attendance was that high was during the dot-com bubble. Why the dramatic increase in attendees? AMT Vice President Peter Eelman, a 40-year veteran of the show, said it best. 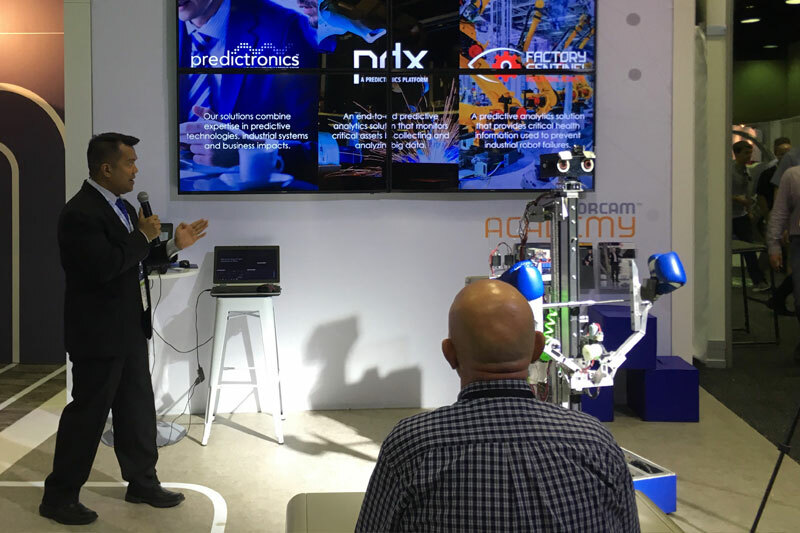 Predictronics not only exhibited at the show in Chicago last week, but members of the Predictronics team, including CEO Dr. Edzel Lapira and CTO Dr. David Siegel, also presented and demonstrated the PDX software platform, an end-to-end solution for predictive data analytics, and Factory Sentinel, a stand-alone software for monitoring industrial robots. 1. It is truly the era of the fourth industrial revolution. Cyber-physical systems and “smart factories” that deal in cognitive computing are hotter than ever. Since IMTS 2016, Industry 4.0 has been on the rise and there is a greater demand than ever before for the creation of virtual models (or digital twins) of real-world technologies. Businesses want software solutions to predict and prevent their industry problems before they happen. Predictronics is in the right business! 2. Interest in predictive maintenance and quality is high. Manufacturers want to know when to service their machines before they suffer wasted downtime and they want to know the future patterns and trends in their data acquisition in order to enhance production performance and quality. 3. 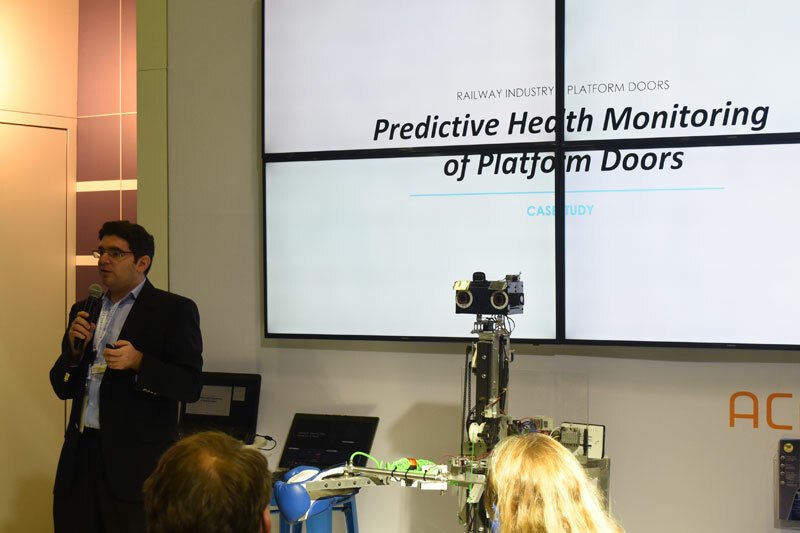 Predictive analytics is the next necessary step to expanding and bettering Industrial IoT. The future of IIoT is in predictive analytical technologies. IIoT has made it possible to have an infinite universe of software and sensors that oversee current operations. This can give plant or factory managers the ability to control processes from their computer or even something as simple as a tablet or smartphone. While this is clearly a critical enabling technology for modern industrial operations, the potential for monitoring (and predicting) the essential aspects of these assets is even greater. Speed, balance, lubrication, vibration—Any type of measurement that can be taken from the machines or equipment can be monitored and analyzed through predictive analytics in order to prevent machine problems and failure. Did you miss us at IMTS? Or see us and want to know more? The Predictronics team is ready to show you how our solutions can gather and analyze data, diagnosis asset faults, and generate machine health indices to prevent costly downtime, increase product quality and ultimately save a business time, money, and reputation. Visit our website and reach out to us at contact@predictronics.com.